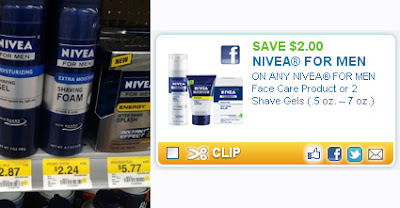 Nivea Men's Shaving Foam only $0.24 w/ Coupon! NOTE: To change the zip code, click on the "Local Coupons" tab, enter zip code to the left and click the little arrow to the right of the box. Then, click on the "Coupons" tab to find all the coupons.